Located in La Consulta, Uco Valley, Bodega Cuarto Dominio winery is owned and operated by fourth generation Mendoza producers. The family has been growing vines in the foothills of the Andes Mountains in Mendoza for over 100 years. 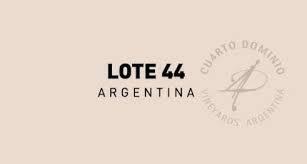 The "Lote 44" wines come from a special selection of their high altitude vineyards located at the foothills of the Andes Mountains where the soil is sandy and rocky. The climate typically presents hot days and cold nights, with considerable temperature variations. Dark purple with violet highlights.Black cherry, vanilla and mocha aromas.Unique and distinctive character, rich with black cherry and currant flavors, a luxurious mouthfeel and ripe, silky tannins.